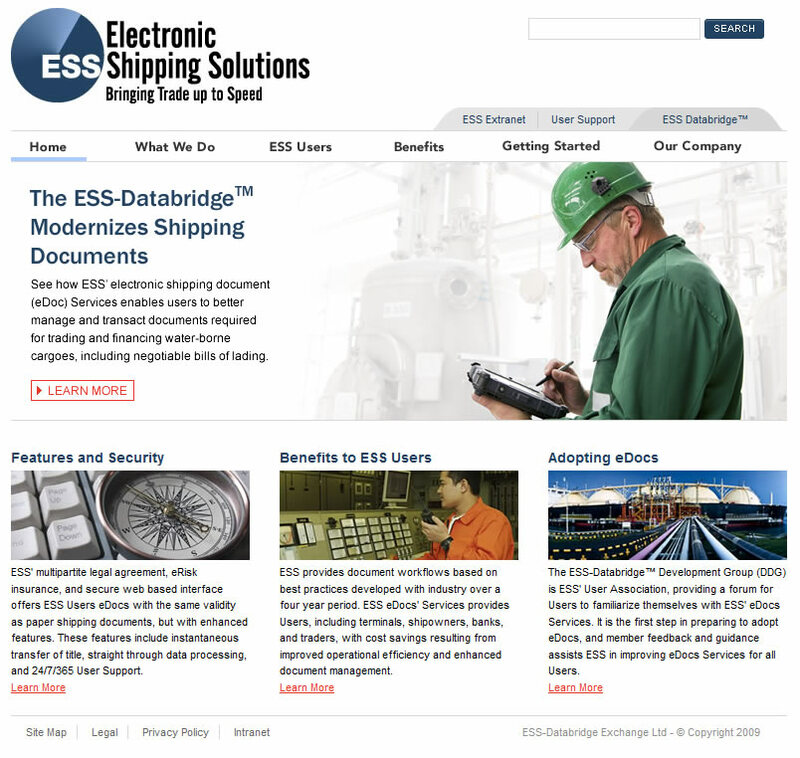 Electronic Shipping Solutions (ESS) aims to modernize the water-borne cargo business with their online shipping documents platform, CargoDocs™. To appeal to an international base of potential customers, they needed a professional redesign of their corporate website. Kickstart Concepts designed a complete overhaul of their website then coded the web-standards compliant site. The team also refined the brand identity for ESS, including a refresh of the colors and selection of a corporate color palette. These were later used in a collection of marketing materials that Kickstart Concepts designed for the client.